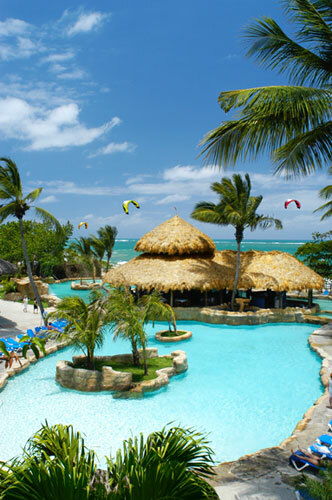 The Dominican Republic, is a nation on the island of Hispaniola, part of the Greater Antilles archipelago in the Caribbean region. 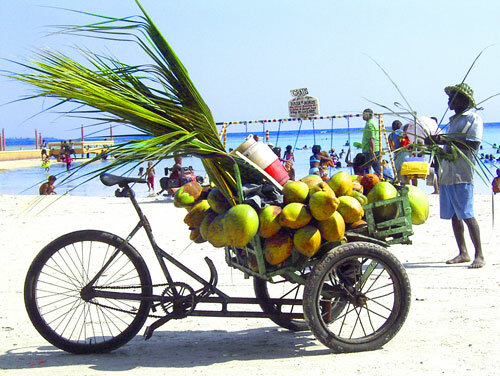 The western third of the island is occupied by the nation of Haiti, making Hispaniola one of two Caribbean islands that are shared by two countries. 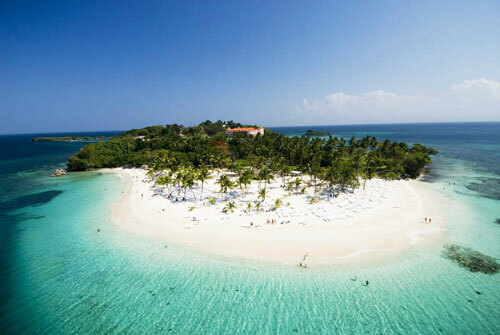 Both by area and population, the Dominican Republic is the second largest Caribbean nation (after Cuba), with 48,442 square kilometres (18,704 sq mi) and an estimated 10 million people. 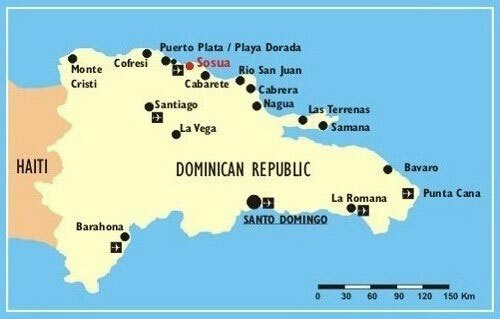 Taínos inhabited what is now the Dominican Republic since the 7th century. Christopher Columbus landed on it in 1492, and it became the site of the first permanent European settlement in the Americas, namely Santo Domingo, the country’s capital and Spain’s first capital in the New World. 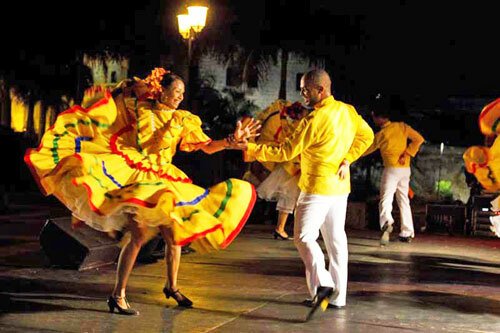 Santo Domingo can boast of many firsts in the Americas, including the first cathedral, and castle, both in the Ciudad Colonial area, a UNESCO World Heritage Site. After three centuries of Spanish rule, with French and Haitian interludes, the country became independent in 1821 under the rule of a former colonial judge who maintained the system of slavery and limited rights for the mostly mulatto and black population. The ruler, José Núñez de Cáceres, intended that the Dominican Republic be part of the nation of Gran Colombia, but he was quickly removed by the Haitian government and “Dominican” slave revolts. Victorious in the Dominican War of Independence in 1844, Dominicans experienced mostly internal strife, and also a brief return to Spanish rule, over the next 72 years. The United States occupation of 1916–1924, and a subsequent calm and prosperous six-year period under Horacio Vásquez Lajara, were followed by the dictatorship of Rafael Leonidas Trujillo Molina until 1961. The civil war of 1965, the country’s last, was ended by a U.S.-led intervention, and was followed by the authoritarian rule of Joaquín Balaguer, 1966–1978. Since then, the Dominican Republic has moved toward representative democracy, and has been led by Leonel Fernández for most of the time after 1996. The Dominican Republic has the ninth largest economy in Latin America and the second largest economy in the Caribbean and Central American region. Though long known for sugar production, the economy is now dominated by services. The country’s economic progress is exemplified by its advanced telecommunication system. Nevertheless, unemployment, government corruption, and inconsistent electric service remain major Dominican problems. The country also has “marked income inequality”. 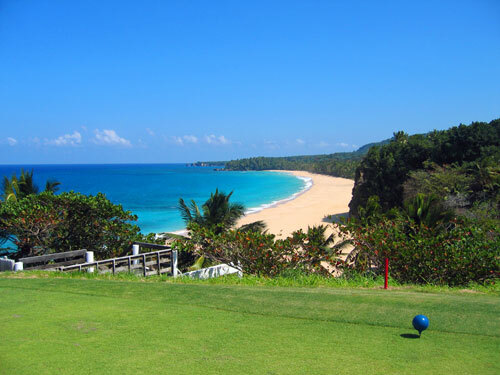 The Dominican Republic has become the Caribbean’s largest tourist destination; the country’s year-round golf courses are among the top attractions. In this mountainous land is located the Caribbean’s highest mountain, Pico Duarte, as is Lake Enriquillo, the Caribbean’s largest lake and lowest elevation. 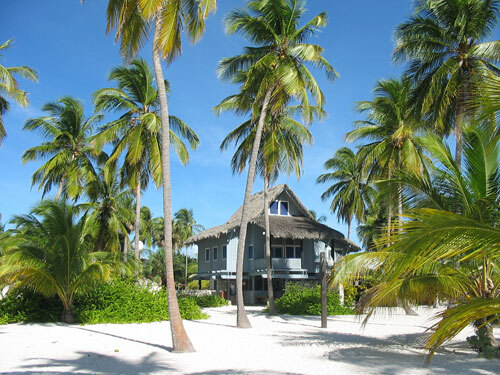 Quisqueya, as Dominicans often call their country, has an average temperature of 26 °C (78.8 °F) and great biological diversity. 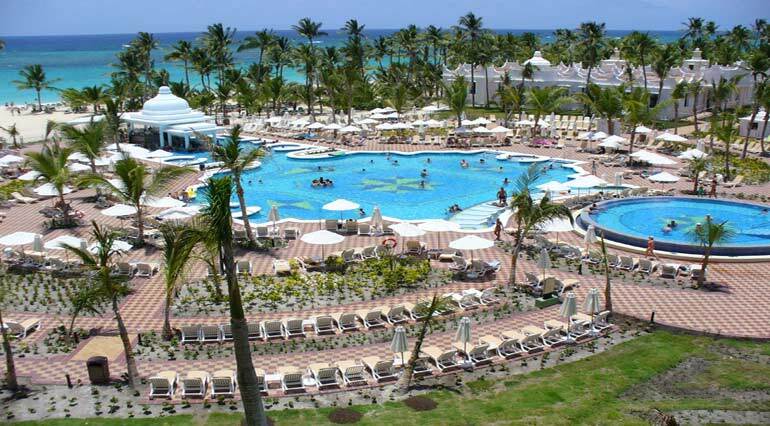 The Dominican Republic is situated on the eastern part of the second-largest island in the Greater Antilles, Hispaniola. It shares the island roughly at a 2:1 ratio with Haiti. 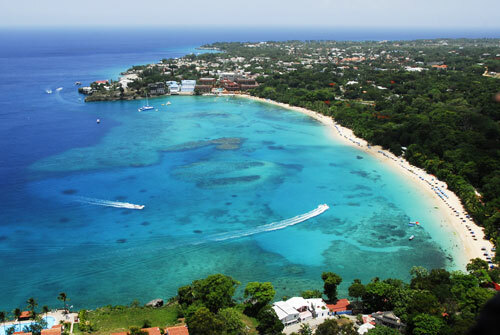 The country’s area is reported variously as 48,442 km² (by the embassy in the United States) and 48,730 km² (by the U.S. CIA), making it the second largest country in the Antilles, after Cuba. 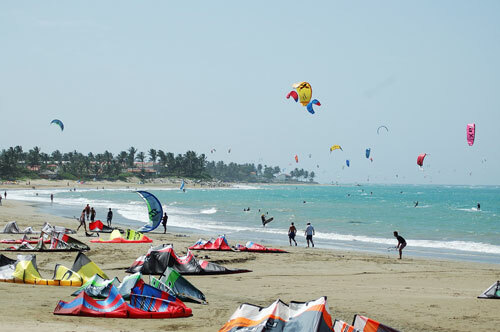 The country’s capital and greatest metropolitan area, Santo Domingo, is located on the southern coast. The country lies between latitudes 17° and 20°N, and longitudes 68° and 72°W. The country’s mainland has four important mountain ranges. The most northerly is the Cordillera Septentrional (“Northern Mountain Range”), which extends from the northwestern coastal town of Monte Cristi, near the Haitian border, to the Samaná Peninsula in the east, running parallel to the Atlantic coast. The highest range in the Dominican Republic – indeed, in the whole of the West Indies – is the Cordillera Central (“Central Mountain Range”). 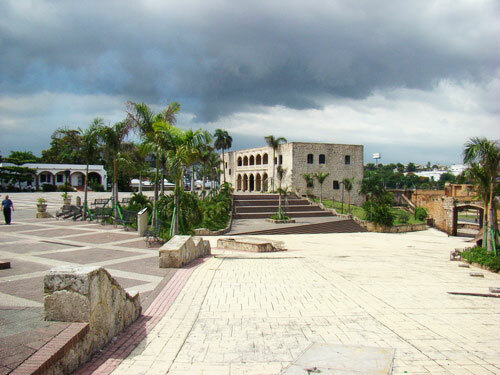 It gradually bends southwards and finishes near the town of Azua, on the Caribbean coast. In the Cordillera Central are found the four highest peaks in the Caribbean: Pico Duarte (3,098 metres / 10,164 feet) above sea level), La Pelona (3,094 metres / 10,151 feet), La Rucilla (3,049 metres / 10,003 feet) and Pico Yaque (2,760 metres / 9,055 feet). In the southwest corner of the country, south of the Cordillera Central, there are two other ranges. The more northerly of the two is the Sierra de Neiba, while in the south the Sierra de Bahoruco is a continuation of the Massif de la Selle in Haiti. There are other, minor mountain ranges, such as the Cordillera Oriental (“Eastern Mountain Range”), Sierra Martín García, Sierra de Yamasá and Sierra de Samaná. 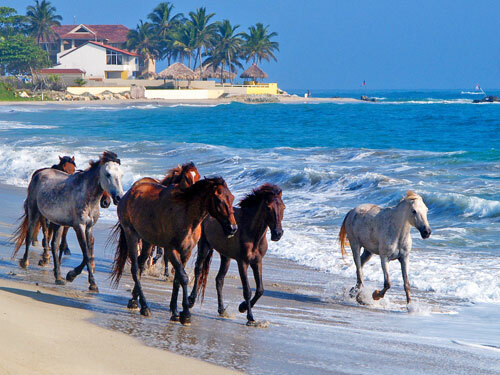 The Llano Costero del Caribe (“Caribbean Coastal Plain”) is the largest of the plains in the Dominican Republic. Stretching north and east of Santo Domingo, it contains many sugar plantations in the savannahs that are common there. 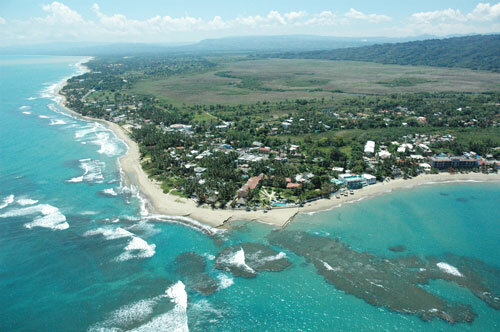 West of Santo Domingo its width is reduced to 10 kilometres (6.2 mi) as it hugs the coast, finishing at the mouth of the Ocoa River. Another large plain is the Plena de Azua (“Azua Plain”), a very dry region in Azua Province. 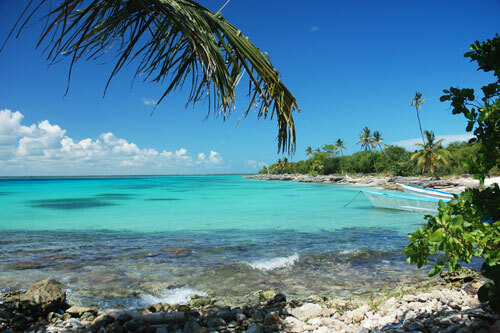 A few other small coastal plains are in the northern coast and in the Pedernales Peninsula.Four major rivers drain the numerous mountains of the Dominican Republic. The Yaque del Norte is the longest and most important Dominican river. It carries excess water down from the Cibao Valley and empties into Monte Cristi Bay, in the northwest. Likewise, the Yuna River serves the Vega Real and empties into Samaná Bay, in the northeast. Drainage of the San Juan Valley is provided by the San Juan River, tributary of the Yaque del Sur, which empties into the Caribbean, in the south. The Artibonito is the longest river of Hispaniola and flows westward into Haiti. The wet season along the northern coast lasts from November through January. Elsewhere, the wet season stretches from May through November, with May being the wettest month. Average annual rainfall is 1,500 millimetres (59.1 in) countrywide, with individual locations in the Valle de Neiba seeing averages as low as 350 millimetres (13.8 in) while the Cordillera Oriental averages 2,740 millimetres (107.9 in). The driest part of the country lies in the west. Tropical cyclones strike the country every couple of years, with 65% of the impacts along the southern coast. Hurricanes are most likely between August and October. The last time a category 5 hurricane struck the country was Hurricane David in 1979. 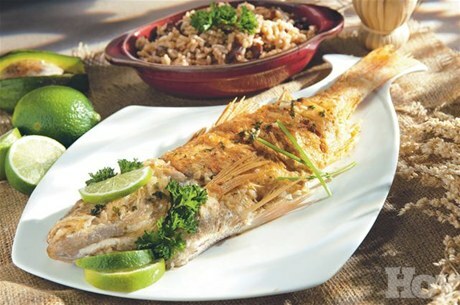 Dominican cuisine is predominantly Spanish, Taíno, and African. The typical cuisine is quite similar to what can be found in other Latin American countries, but many of the names of dishes are different. One breakfast dish consists of eggs and mangú (mashed, boiled plantain), a dish that the Dominican Republic shares with Cuba and Puerto Rico. For heartier versions, mangú is accompanied by deep-fried meat (Dominican salami, typically) and/or cheese. Similarly to Spain, lunch is generally the largest and most important meal of the day. Lunch usually consists of rice, meat (such as chicken, beef, pork, or fish), beans, and a side portion of salad. “La Bandera” (literally “The Flag”) is the most popular lunch dish; it consists of meat and red beans on white rice. 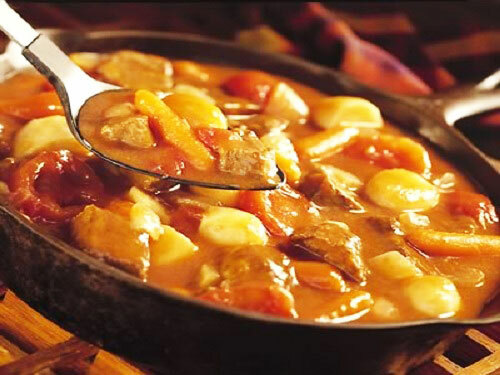 Sancocho is a stew often made with seven varieties of meat. Meals tend to favor starches and meats over dairy products and vegetables. Many dishes are made with sofrito, which is a mix of local herbs used as a wet rub for meats and sautéed to bring out all of a dish’s flavors. Throughout the south-central coast, bulgur, or whole wheat, is a main ingredient in quipes or tipili (bulgur salad). Other favorite Dominican foods are chicharrón, yuca, casabe, pastelitos (empanadas), batata, yam, pasteles en hoja, chimichurris, tostones. Some treats Dominicans enjoy are arroz con dulce (or arroz con leche), bizcocho dominicano (lit. Dominican cake), habichuelas con dulce, flan, frío frío (snow cones), dulce de leche, and caña (sugarcane). The beverages Dominicans enjoy include Morir Soñando, rum, beer, Mama Juana, batida (smoothie), jugos naturales (freshly squeezed fruit juices), mabí, coffee, and chaca (also called maiz caqueao/casqueado, maiz con dulce and maiz con leche), the last item being only found in the southern provinces of the country such as San Juan.